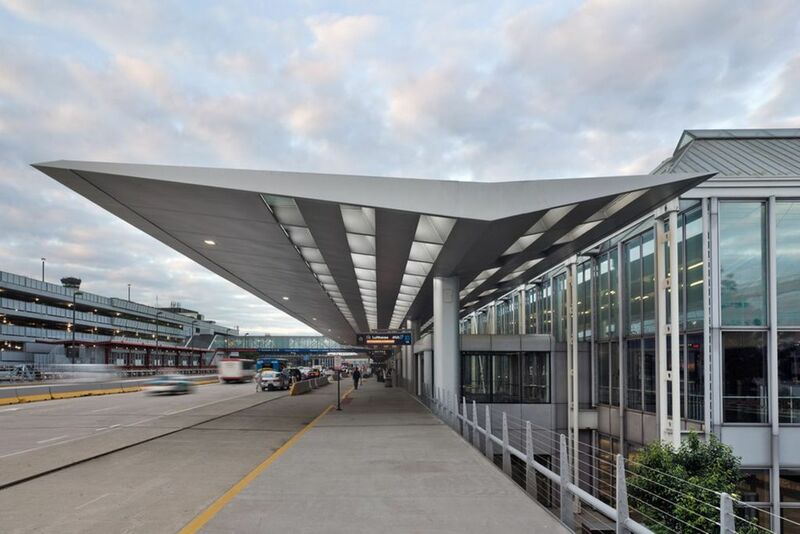 The International O’Hare Airport in Chicago has been enhanced by a cantilevered canopy. 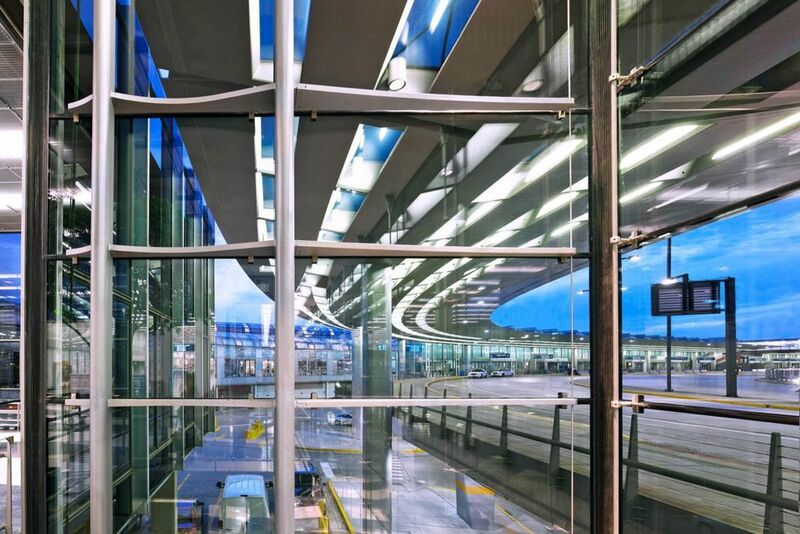 This structure has a width of about 20 m and allows the suspension of a 12 m high prestressed glazed cable curtainwall. Prestress in the façade is produced by means of the cables only, i.e. no springs or other elements are required to maintain a constant level of prestress. 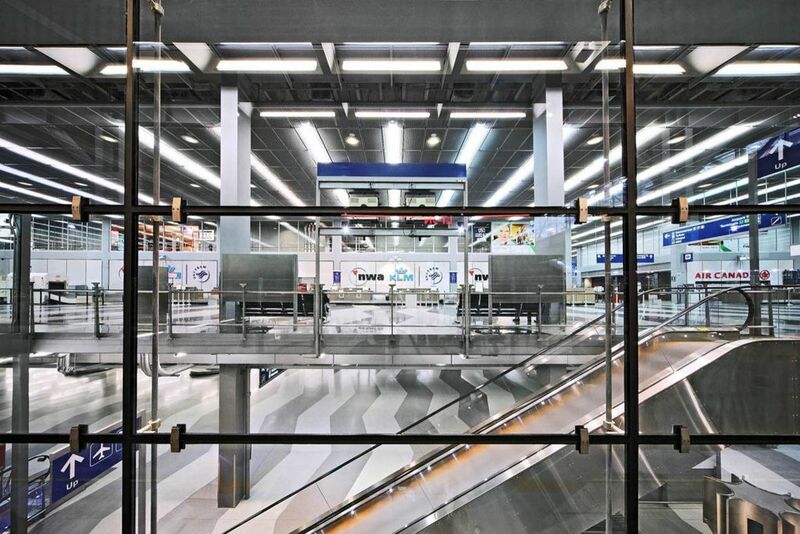 Since September 11, 2001, the protection of public buildings such as airports against terror attacks has become of primary concern of the clients. 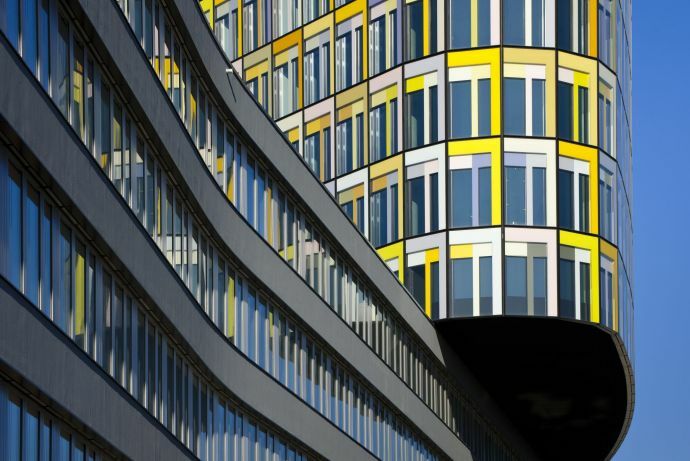 In this context extended studies have been carried out to evaluate the performance of various glazing elements. 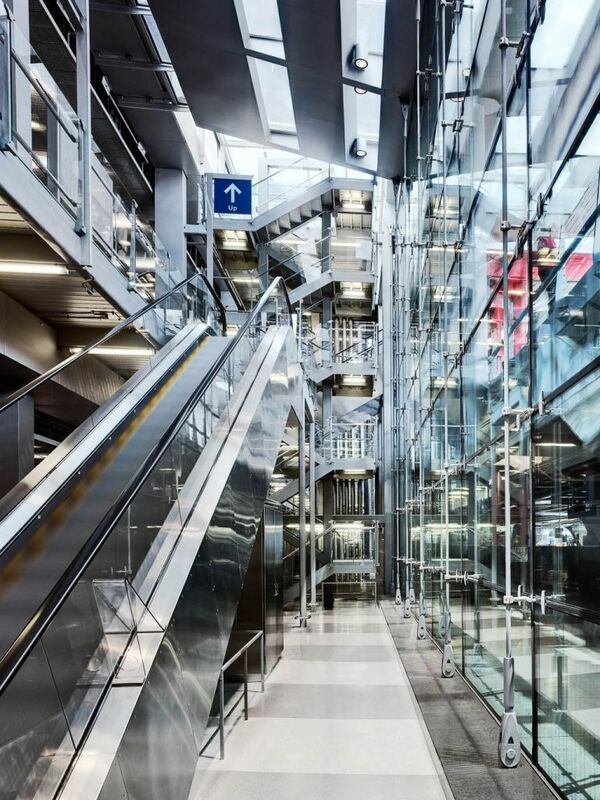 The studies have shown that the single supported glass fixtures developed by Werner Sobek provide the best performance in case of a bomb blast incident. 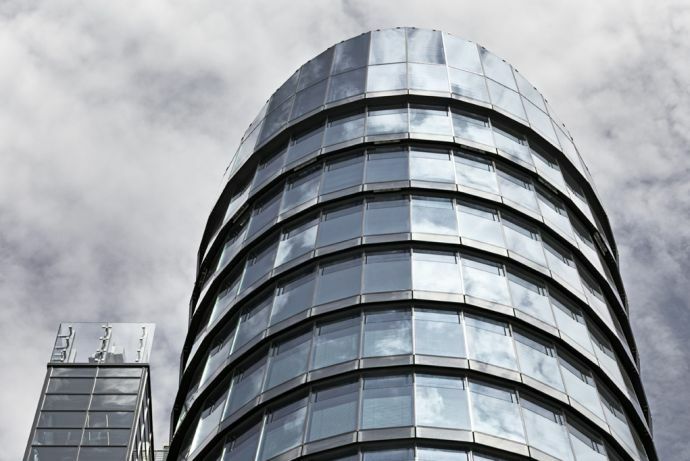 By means of a finite element analysis and a field test it could be proved that the selected glazed curtainwall was able to withstand a bomb blast incident.